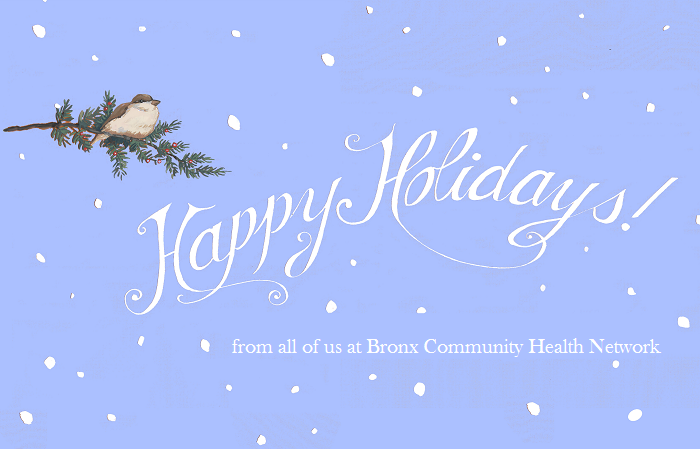 With much appreciation for your support throughout the year, Bronx Community Health Network wishes you a healthy successful holiday season and 2017. 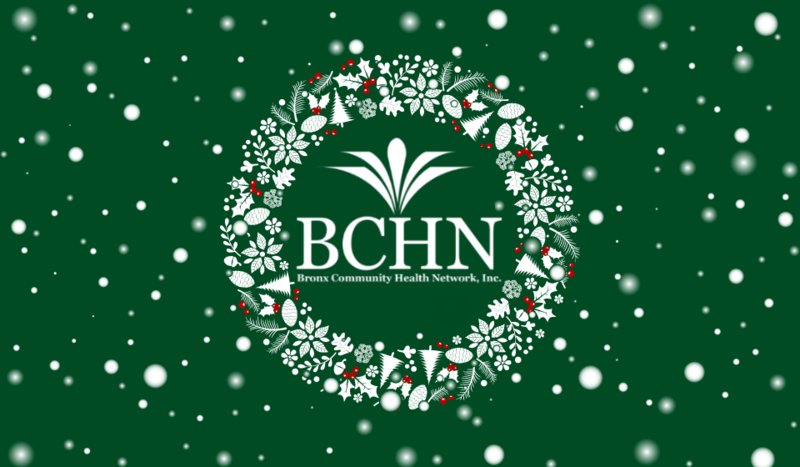 BCHN held its monthly board meeting on December 13, which included a holiday dinner with the entire staff. 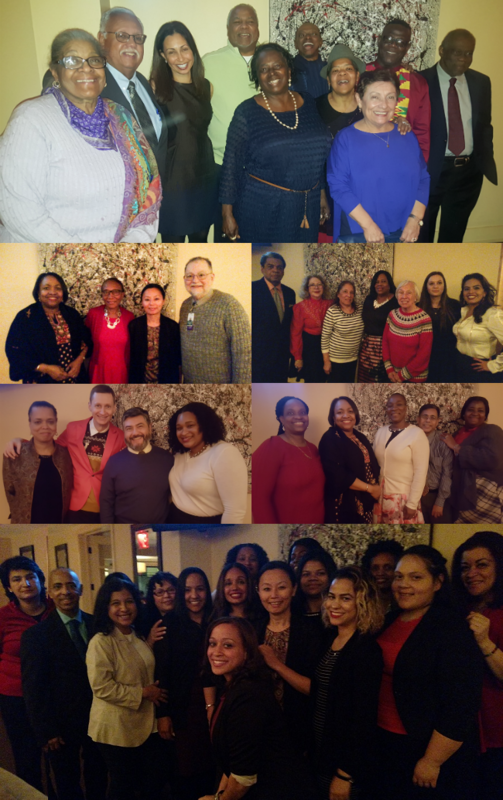 The Board of Directors, Advisory Council, Executive Team, Associates and guests gathered at Pine Bar + Grill for an evening of good times, camaraderie and much holiday spirit. 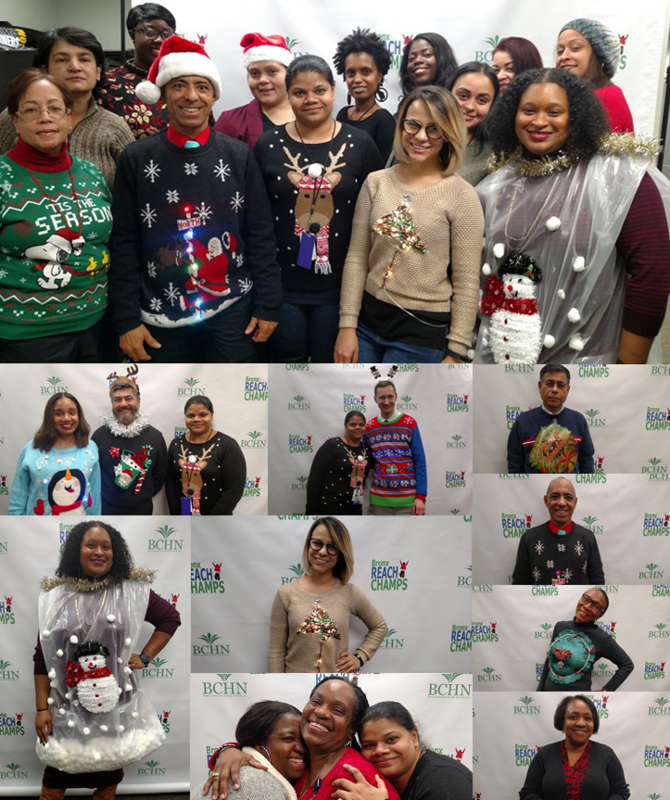 The fun continued on December 16 as staff at BCHN's corporate office celebrated the holidays with lunch, an ugly sweater contest, and giving for children and seniors (more on the latter below). Congratulations to Renee Whiskey for winning the Ugliest Sweater competition, and Yaritza Holguin for being named Most Creative. 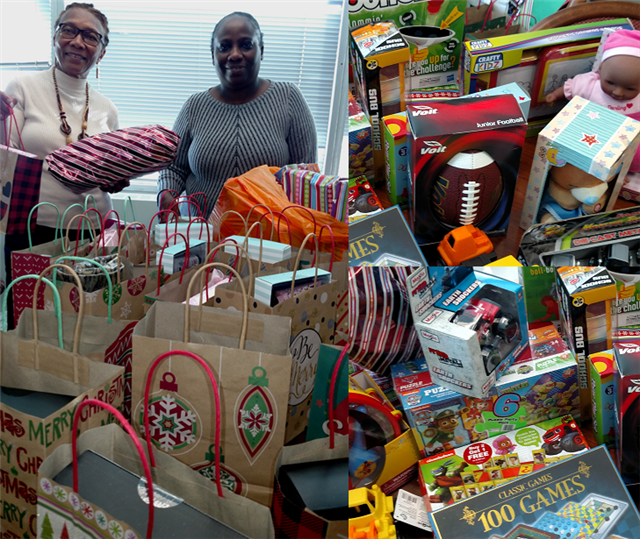 This holiday season, BCHN donated toys to the children of Argus Community ACCESS Program patients, as well as gifts for seniors at Bay Eden Senior Center. Pictured with the gifts are chief executive officer Eleanor Larrier and quality improvement coordinator Winsome Ramsey. On December 20, BCHN celebrated the holidays at the annual Bay Eden Senior Center holiday luncheon. BCHN was joined by staff members from the offices of Assembly Speaker Carl E. Heastie, Council Member Andy King, and State Senator Elect Jamaal T. Bailey. Pictured above with some of the lucky seniors who won special raffle prizes are community health programs developer Renee Whiskey and public relations specialist Roger Newcomb. 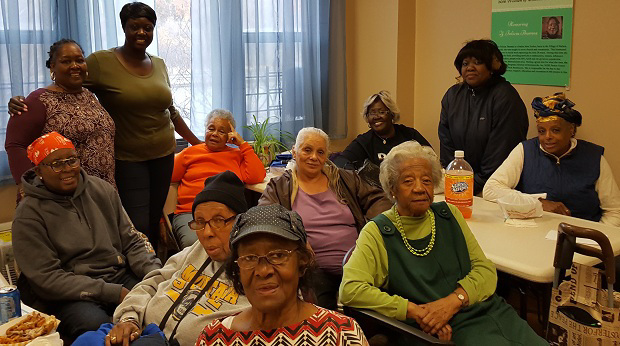 Bay Eden is one of JASA's 25 Senior Centers throughout New York City and Long Island are a "home away from home" for seniors seeking group activities, company, friendships, trips, special events, or a hot meal. 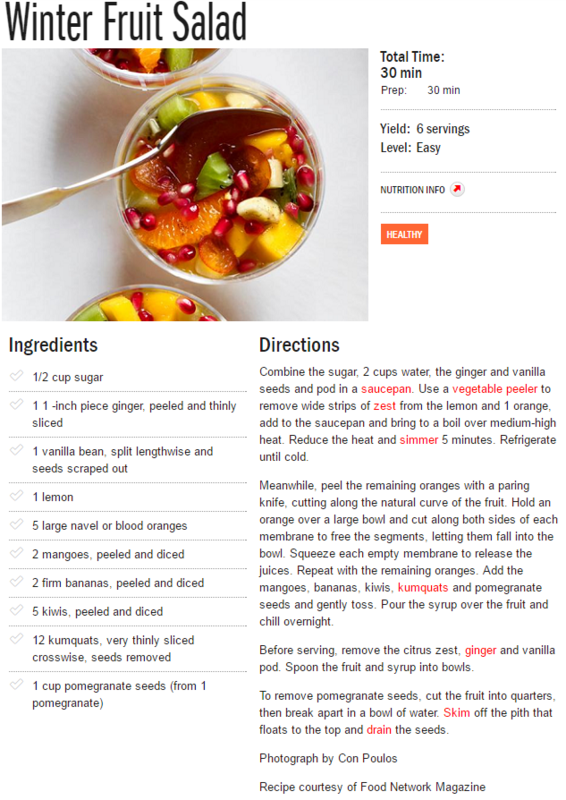 You can eat delicious meals during the holidays, that are easy to prepare and healthy. 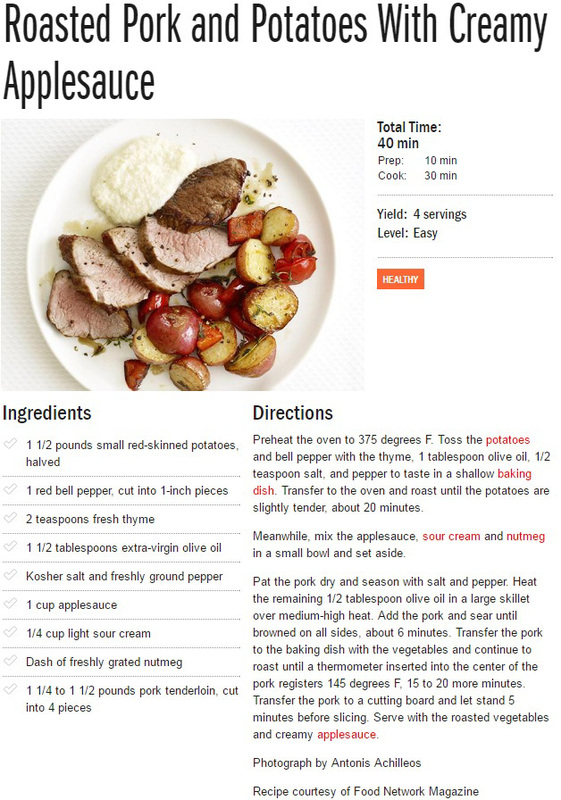 Check out some recipes below courtesy of Food Network Magazine. 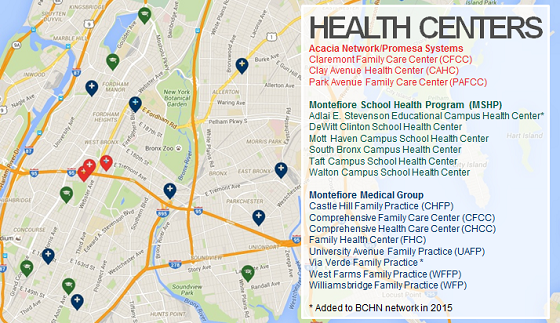 We regularly receive positive feedback from patients who work with community health workers at our 17 community and school-based health centers around the Bronx. One such story was recently submitted by Denie, a patient at Family Health Center who was struggling to pay for food on a monthly basis after moving from a shelter into a new apartment. Through our referral process, community health worker Aminatta Ulaba-Samura was able to connect Denie with Josef Aguilar, a SNAP eligibility counselor at Part of the Solution (POTS). This connection resulted in a SNAP increase for Denie from $16 per month in August to $357 per month starting in November. "I was very grateful for the help that Aminatta and Josef gave me," Denie told us in a lovely handwritten letter. On November 17, BCHN board member John Ruiz attended Crain’s 2016 Health Care Summit: The Future of New York’s Health Care Workforce at Sheraton New York Times Square. Panel discussions included "Reimagining the jobs of tomorrow" and "The health care team." 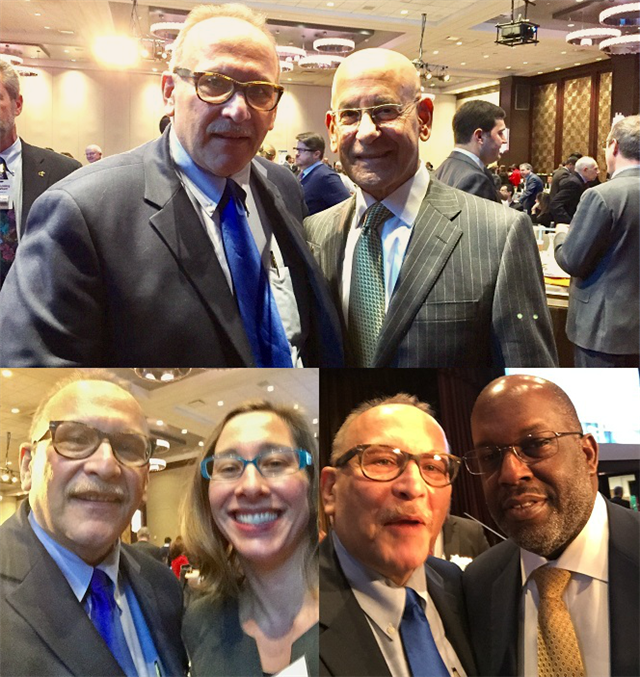 Pictured above with Mr. Ruiz (clockwise from top) are Steven M. Safyer, MD, President and Chief Executive Officer, Montefiore Medicine; Bernard J. Tyson, Chairman & CEO, Kaiser Permanente; and Amanda Falick Ascher, Chief Medical Officer, Bronx Partners for Healthy Communities (BPHC). On December 1, BCHN health educator Arousiag Markarian and community health worker Ndeye NGom-Mbacke (pictured above) led a health and stress workship with the seniors at BronxWorks NORC. Attendees were educated on various techniques to cope with stress. On December 1, World AIDS was celebrated at Comprehensive Family Care Center with education provided on the history of HIV/AIDS, current data trends, and the importance of using PrEP (Pre-exposure prophylaxis). The World Health Organization established World AIDS Day in 1988, dedicated to raising awareness of the AIDS pandemic caused by the spread of HIV infection, and mourning those who have died of the disease. This year, the United States Government used the theme “Leadership. Commitment. Impact." Pictured above is treatment educator Norma Cordero-Padilla, who posed with a visiting Harlem Globetrotter. 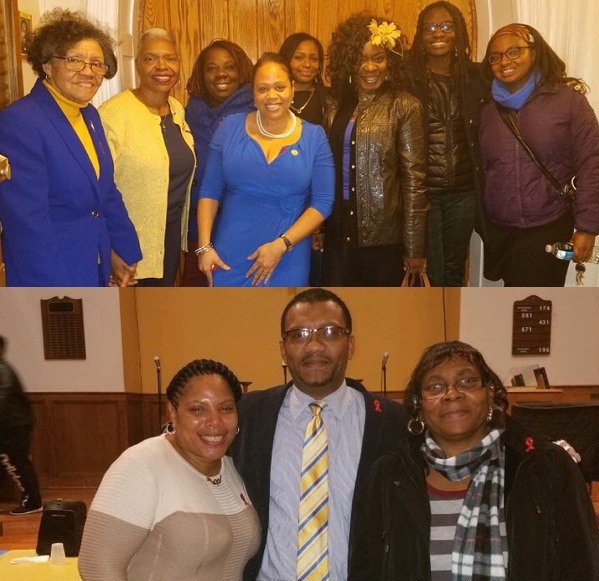 Tanya Johnson, CICERO Program CAB Secretary, was the featured speaker at the Sigma Gamma Rho Sorority World AIDS Day Event held at the Grace Congregational Church in Harlem, NYC. CICERO (Centers Implementing Clinical Excellence & Restoring Opportunity) is an integrated HIV/AIDS and primary care program that functions at ten Montefiore primary care sites and offers treatment, educational, counseling and supportive services to HIV/AIDS patients in the primary care setting. Ms. Johnson spoke about her life challenges and how, through so much adversity, she was able to achieve her associates, undergrad and graduate degrees. It was a magical night, there was not a dry eye in the crowd while Ms. Johnson told her story. Pictured Above: (top) Annabel Georges-Uffen and Anilsa Nunez with members of Sigma Gamma Rho Sorority; (bottom) Tanya Johnson, BCHN Engage NYC program coordinator Eric Machicote, and CICERO Consumer Advisory Board Chairperson Sylvia Young. Montefiore Office of Community and Population Health's "Healthy Store" program has been a key partner in the Bronx REACH CHAMPS coalition initiative to help Bronxites gain access to healthier food and beverage options. 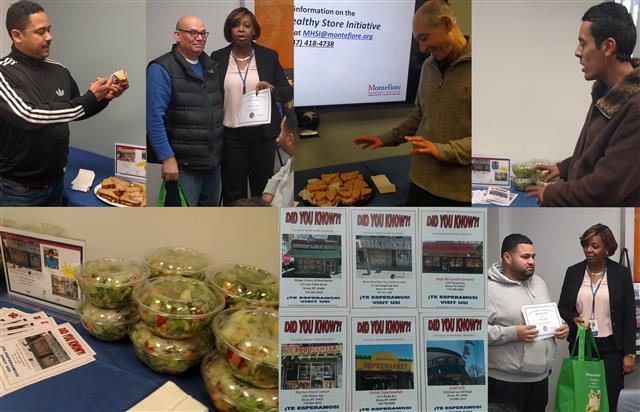 On December 9, a luncheon was hosted by the Office of Community and Population Health to celebrate the owners of local bodegas and delis who have made changes to their stores that bring healthy items to the community. Each of the seven stores represented provided a healthy item from their menu, which they described for attendees, who included Amanda Parsons, VP Community and Population Health; BCHN's Bronx REACH CHAMPS staff; and the New York City Department of Health. Speakers who shared their appreciation for the bodegas' efforts included the Office of Community and Population Health 's Nicole Hollingsworth; Assistant Vice President; Elizabeth Spurrell, Project Manager; and Aneka Wynter, Outreach Specialist, who was a key player in developing the relationships with the stores; and BCHN chief executive officer Eleanor Larrier. Vivian Grocery owner Rafael Infante told attendees about his bodega's new signature turkey sandwhich with sweet cheese, lettuce and tomato. He has now started to do his own research on the health benefits of certain foods, and has experimented by adding new items to the sandwich. The latest version features celery leaf and red peppers, after learning that both ingredients can help people prevent cancer and other diseases. Mango Grocery and Meat Market owner Sandy Ortiz has added wraps to his deli, and features whole wheat and spinach wraps with low sodium and low fat cheese and meats. Saeed Ali spoke on behalf of his brother Jimmy's Bronx New Way Deli, and revealed their store has added a salad bar with around 30 different toppings. "Everyone loves the new salads and it's good for business!"